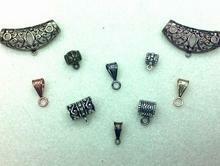 I have a large variety of findings in an assortment of metals. 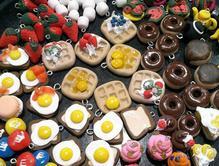 These adorable clay charms will add a touch of whimsey to projects for children as well as adults. A wide variety of bails are available in several metals. 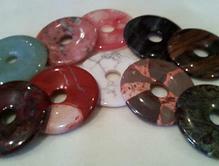 These gem stone donuts will help you create a beautiful focal point for your projects. 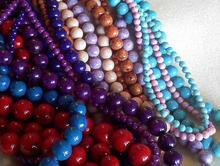 Fossil beads come in a variety of colors and sizes and will add that special touch to your project. 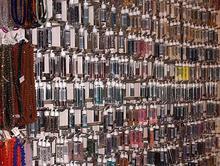 With all of the colors of the rainbow I'm sure you can find the right color and size for your special project. This is just a small sample of my beads and findings. 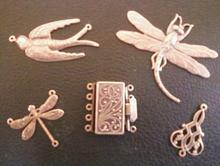 I also have a nice assortment of wire, stringing supplies, watch faces and many other items. Please stop in and visit to find unique items that you're looking for.